Founded in 1989, Kenneth Park Architects is a 55-person, full service architecture firm that specializes in retail, commercial and mixed-use developments. We are led by Kenneth Park, AIA, and Robert Yuricic, RA, and Directors of Projects Sonny Thio, Kristine Finizio, and Vincent Picone, AIA, in the NYC office. 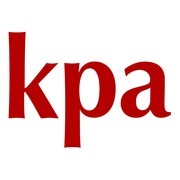 In 2009, KPA established a second office in Los Angeles with a renewed focus on architectural design, while better serving our West Coast clientele. We specialize in retail, commercial and mixed-use architecture for developers and retailers; and provide services on a national, and occasionally, an international level. We’ve designed innovative brand concepts and prototype designs for some of the most exciting names in fashion, completed national and international rollouts numbering in the hundreds and provided our commercial and mixed-use expertise on some of the boldest developments in the country. With nearly 30 years of experience in architecture, planning and store design, we continue to create places, spaces and experiences that are inviting, memorable and worth revisiting.